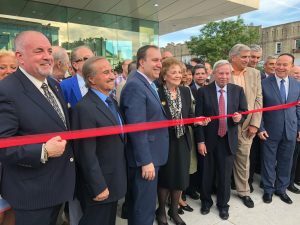 Bellissimo, the Italian word for beautiful, was the most commonly used phrase uttered by lawmakers and civic leaders who came to Bensonhurst on June 21 to help the Federation of Italian American Organizations (FIAO) mark the grand opening of Il Centro, a new cultural, educational and recreational center. Hundreds of well wishers crowded into the auditorium for a dedication ceremony hosted by FIAO President Carlo Scissura and Chairperson Jack Spatola. 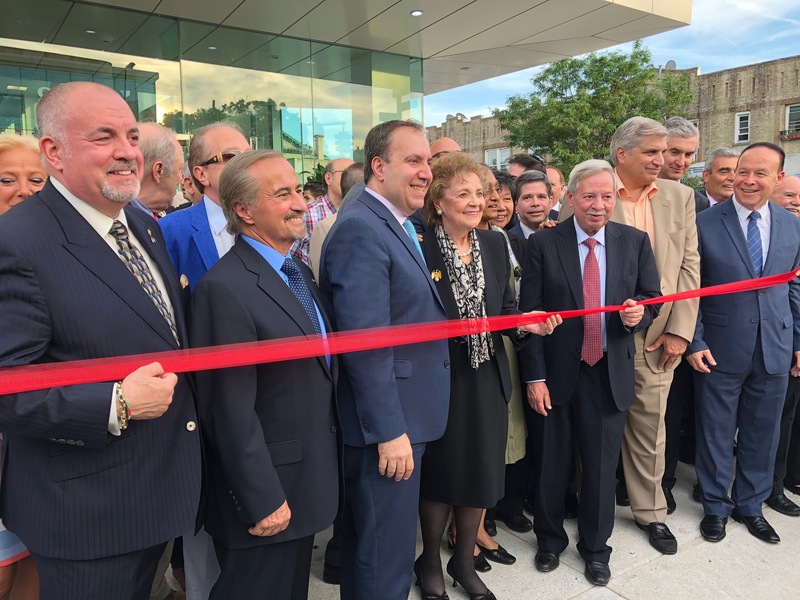 The crowd then spilled out onto the sidewalk in front of the building at 8711 18th Ave. to see Scissura, Spatola, former New York State First Lady Matilda Cuomo, local elected officials and other dignitaries cut the ribbon to mark the official opening. Il Centro is the first Italian cultural center to open in New York City. “It took the Italians in Bensonhurst to put this together,” said Scissura, who is the president of the New York Building Congress.